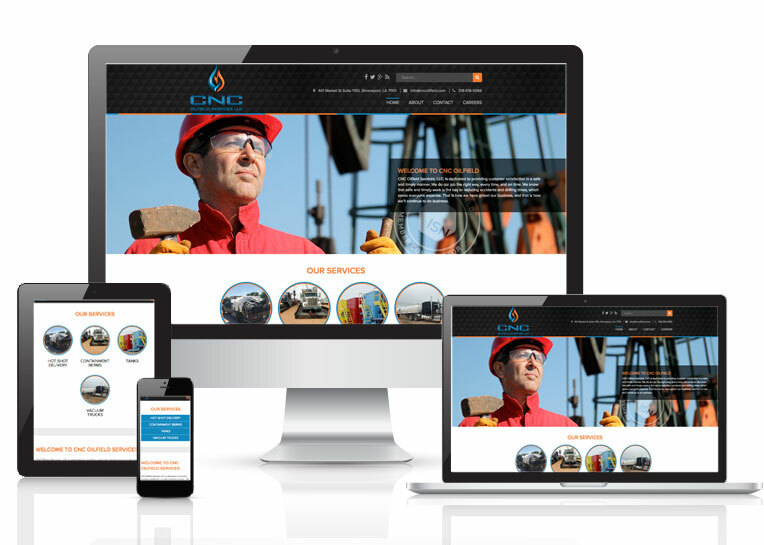 Online Presence Builders developed a new website for CNC Oilfield Services LLC. that allows customers to navigate through and find information with ease. The design is visually appealing, having content that search engines may easily navigate and rank. Online Presence Builders created a website design that is organized and functional whilst maintaining CNC Oilfield Services’ high standard for design and efficiency. The strategy that Online Presence Builders developed created more opportunity in appearing above competitors in organic searches, enhancing the volume of inquiry and also the overall customer value of the site. By implementing a valuable content and design strategy, Online Presence Builders created significant pathways for CNC Oilfield Services LLC to successfully attain more business inquiries.